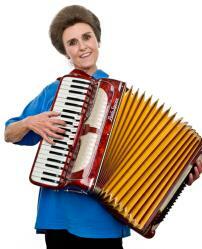 ACT members share a common appreciation for the accordion and accordion music. Our members are invited to join us for monthly meetings, to participate in small groups and ensembles, to perform at public and private events. Our current membership includes over 30 people from different vocations and various musical skill levels. ACT meets on the second Monday of every month at Sabino Vista Hills Recreation Center, 4031 N. Larrea Lane (map), from 7-9 pm, for planning, rehearsing and an open "jam" session. Our membership fee is $15 per academic year, from September 1st through August 31st. To find out more about membership in Act, please contact Stephen Yool (See Contact Page).